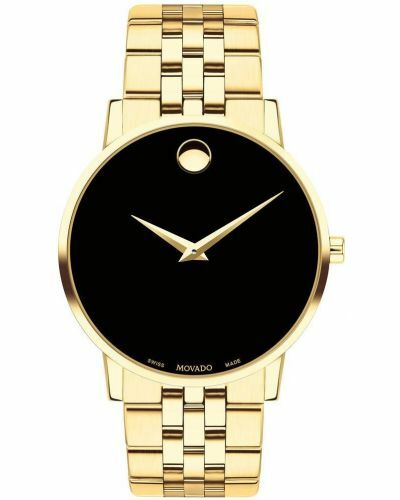 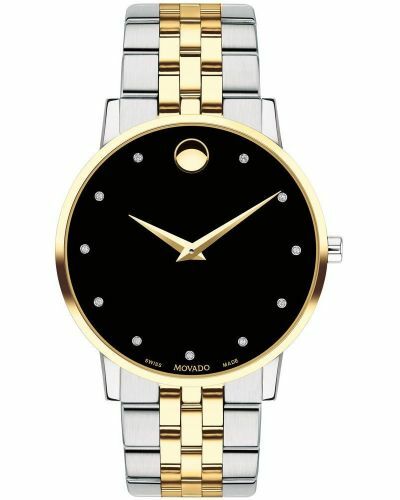 Men's Movado Museum gold plated classic watch with a round brushed case. 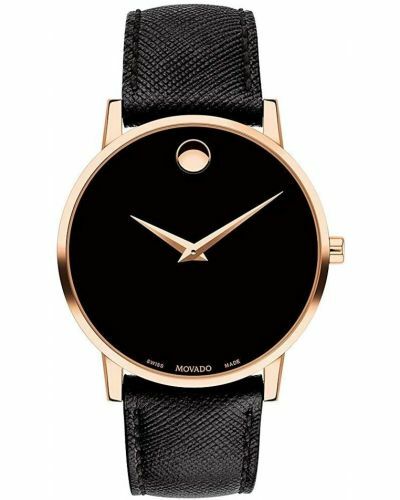 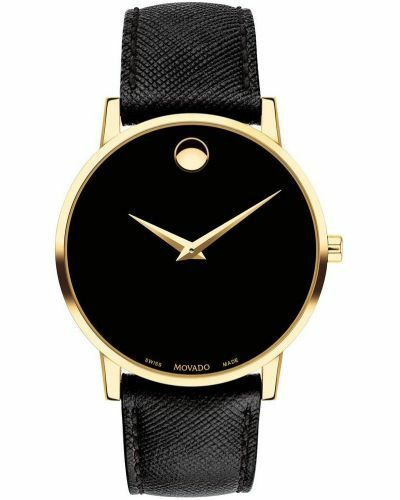 Has a stunning two toned black minimalist dial with polished gold hands and traditional Movado 12 o'clock dot. 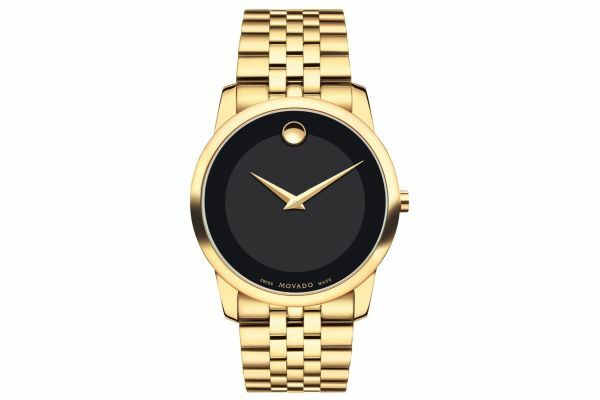 Features a part polished, part brushed gold plated bracelet. 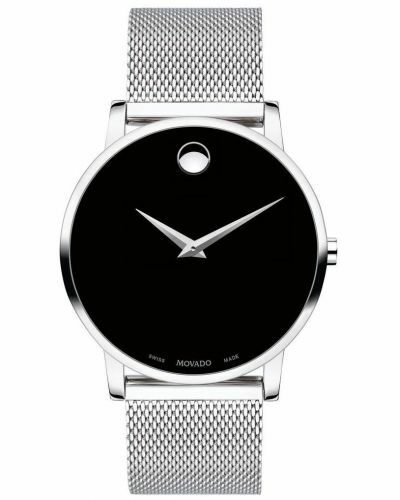 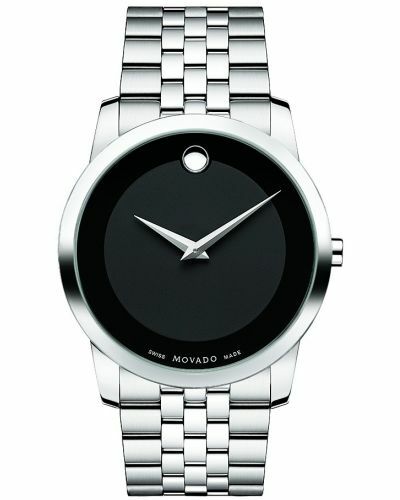 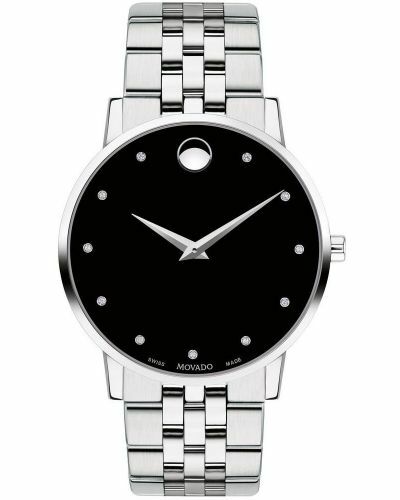 Powered by a Swiss quartz movement and comes with the Movado 2 year guarantee.